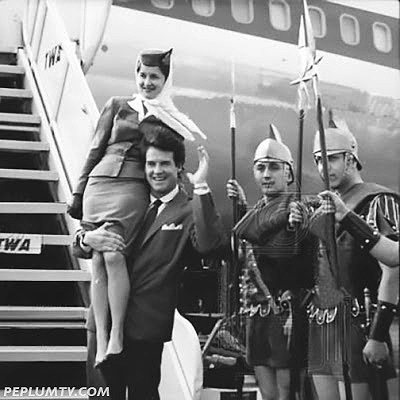 Steve Reeves in a publicity photo (in Rome?) at the airport. Cute.